Explore this free Rotation Guide to see what Rotation Prep has to offer. Unlock all of Rotation Prep by linking your NEJM Resident 360 profile to your personal or institutional subscription to NEJM, NEJM Journal Watch, or NEJM Knowledge+. In the intensive care unit (ICU), you learn how to care for the sickest patients in the hospital. In critical care, every second counts. The goal of this rotation guide is to help you understand the studies that support clinical decisions for critically ill patients and introduce the important concepts that you will encounter daily in the ICU. Procedures are an integral part of any critical care rotation. Therefore, we include procedure videos and images below the resources for each topic in this rotation guide. If you are interested in a career in critical care, see Next Steps for information about professional societies, meetings, and additional resources. For a brief history of critical care, click here. Jeffrey Drazen, MD, is a pulmonologist and critical care physician, and Editor-in-Chief of the New England Journal of Medicine. 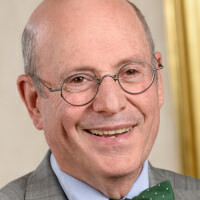 He is a Senior Physician at Brigham and Women’s Hospital, Distinguished Parker B. Francis Professor of Medicine at Harvard Medical School, Professor of Physiology at the Harvard School of Public Health and Adjunct Professor of Medicine at the Boston University School of Medicine.